Founded by former Warby Parker executives, Away is disrupting the travel industry with beautiful, minimalist luggage, top-notch materials, clever features and a direct-to-consumer model that keeps prices accessible. 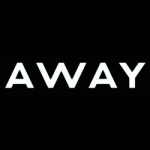 As a new e-tail brand in a huge and largely faceless industry, Away faced the challenge of communicating its brand story effectively across all channels, and ensuring that every customer receives a shipment in line with its brand promise. Quiet leaned on our substantial experience in helping startups scale up to help Away create a realistic growth plan and a flexible logistics strategy. We also advised the young brand on best practices for delivering exceptional brand experiences that engage and delight the customer, with a special emphasis on accommodating a relatively large and bulky product/package (luggage). By tapping our network of shippers to negotiate best rates for the brand’s unique needs, we were able to offer free ground shipping to customers in the continental U.S., with favorable flat rates to customers in Alaska, Hawaii, Canada, the UK, Germany, Sweden and Australia. We also helped the brand navigate the complexity of international shipping, with regards to the logistics of duties and taxes, to streamline communications with the end customer and simplify internal processes. Moreover, by leveraging our excellence in presentation, we are helping Away to ensure that each delivered item helps tell the brand story through premium-level personalization, attention to value added details, and a smooth, enjoyable customer experience.